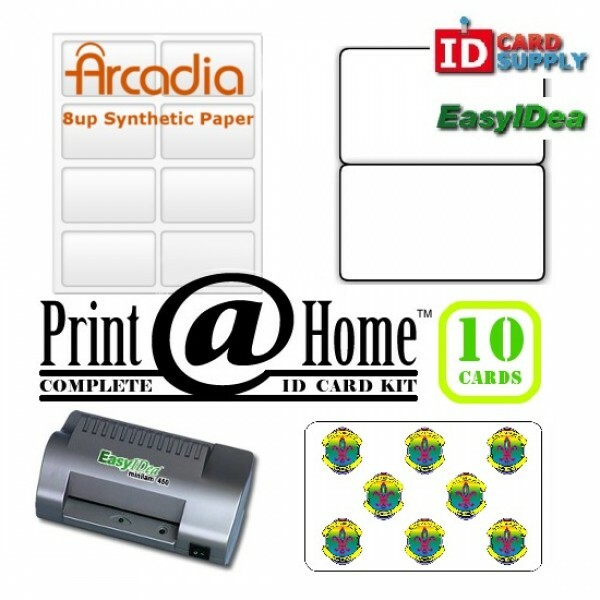 Arcadia Paper is the premium synthetic paper to make PVC like ID Cards right at home. This paper will yield high quality designs when printed on with laser / toner based and InkJet home printers. The Official Seal hologram design is trademarked by easyIDea so you can be sure no one can reproduce your badges! Follow the easy instructions included in this kit to start making ID Cards right now!